The wrap-style sunglasses may be hard to pull off depending on one’s face shape, but knowing Emporio Armani, these frames will most likely compliment anyone’s visage. 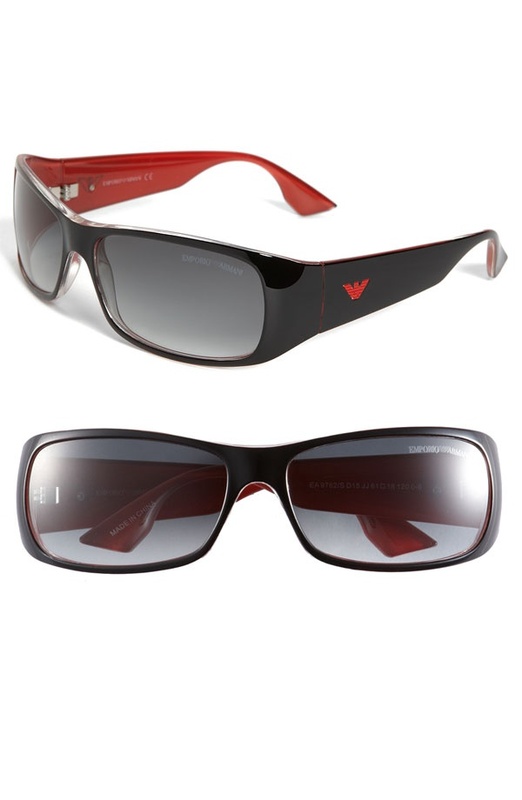 Offered in black and red for the more edgy client, or blue and white for a more nautical look, these propionate sunglasses feature the iconic eagle logo and contrasting interiors. Available now at Nordstrom’s stores and online. This entry was posted in Sunglasses and tagged Emporio Armani. Bookmark the permalink.